Boasts 19 Highway MPG and 12 City MPG! 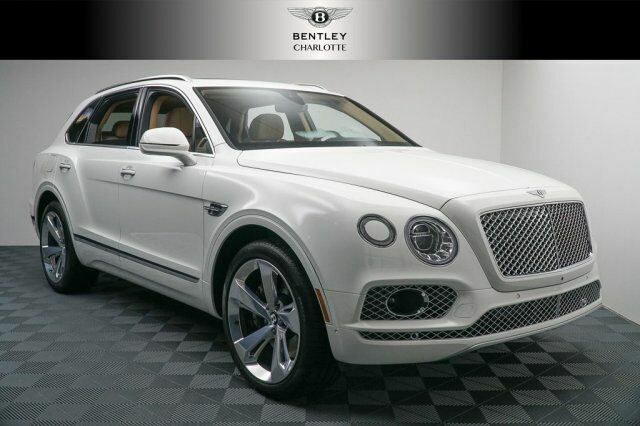 This Bentley Bentayga boasts a Twin Turbo Premium Unleaded W-12 6.0 L/363 engine powering this Automatic transmission. Wireless Streaming, Valet Function, Trunk/Hatch Auto-Latch. Trip Computer, Transmission: ZF AL952 8-Speed Automatic, Transmission w/Driver Selectable Mode, Sequential Shift Control w/Steering Wheel Controls and Oil Cooler, Tracker System, Tires: P285/45R21 Pirelli Scorpion AS, Tire Specific Low Tire Pressure Warning, Tailgate/Rear Door Lock Included w/Power Door Locks, Systems Monitor, Sport Heated Leather Steering Wheel w/Auto Tilt-Away, Spare Tire Mobility Kit.